Bullard and Kaplan, Fed representatives, made comments about USDCHF suggesting that the price growth is prone to happen and they are trying to normalize the interest rates. 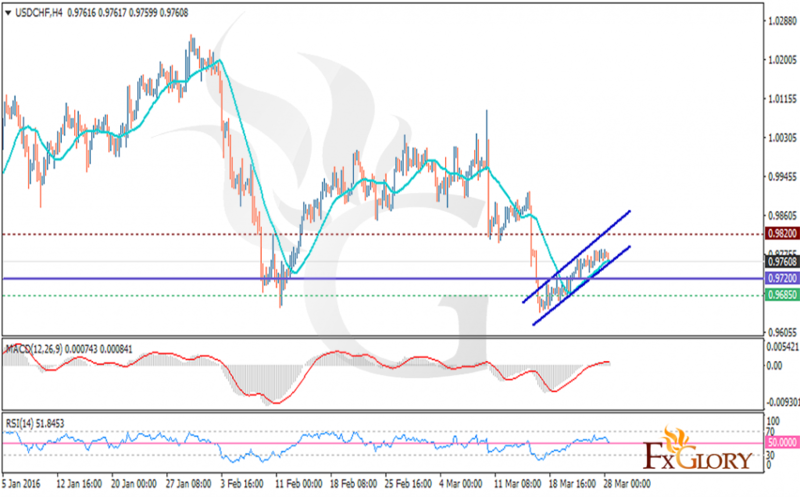 The pair is expected to have a bullish trend for now moving within the descendant channel reaching 0.9780 and if it happens it will hit 0.9820. The price is finding support at 0.9685 with resistance level at 0.9820 moving above the pivot point at 0.9720. The MACD indicator is in positive territory showing the price consolidation. The RSI is staying above the 50.00 level and the price is fluctuating above the MA 20. The buyers can wait for the 0.9850 breakout for future expansion.